It’s high time to pick up posting again. 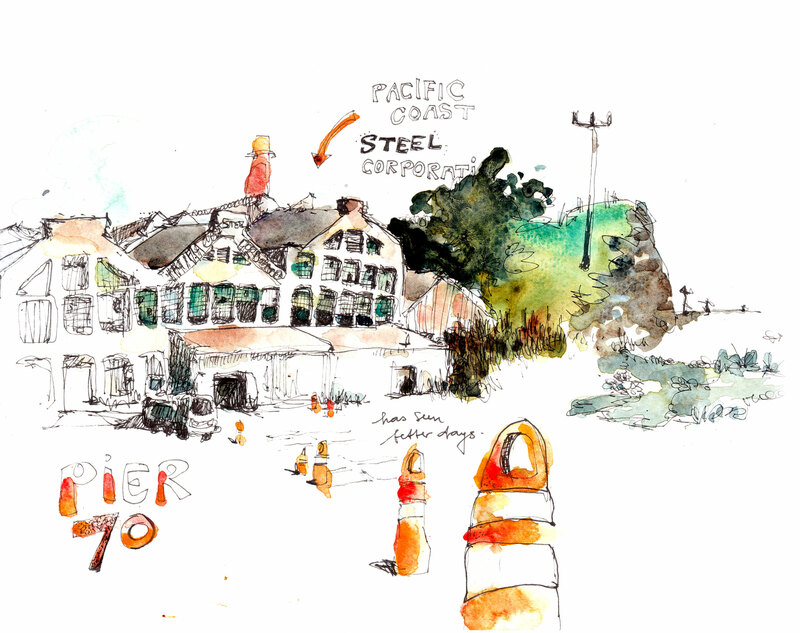 I have made a series of drawings in the Dogpatch – a former industrial neighborhood that, just like every other neighborhood around here, rapidly gentrifies. The Pacific Coast Steel Company warehouse for example is part of Pier70, that is currently being totally redeveloped. Today, this huge abandoned steel structure is still fenced off with barbed wire but this will change soon(ish) according to http://www.pier70sf.com. On a different note. I have restructured my main webpage: http://www.oliverhoeller.com. If you have some time, feel free to check it out! I am still thinking about how to best integrate this blog. Any thoughts? Also, as the holidays approach why not gift a drawing?